With his Irish Catholic heritage and ‘doubtful’ vocation as a ‘provincial lawyer’, Tom Tehan appeared to be an unlikely member of the National Party of Australia, much less its Victorian president and senator. Nonetheless, he firmly believed in the party’s ‘bread and butter philosophy’ and was adamant that rural enterprises were the lifeblood of regional families and communities. Thomas Joseph Tehan was born at Kyabram, Victoria, on 18 January 1916, the fourth of six children of Michael John, a farmer, and Mary Josephine (Mollie), née O’Brien. Tehan’s grandfather, John Tehan, migrated to Australia from County Kilkenny, Ireland, in 1863 and settled on a property near Rochester in northern Victoria. Tehan’s father and uncle ran a property at Timmering, a mixed farming enterprise of beef and dairy cattle, sheep, oats and wheat. Tom Tehan and his siblings rode on horseback to the Timmering East State School, and milked the cows each day on their return. The family later moved to Tatura, and from 1927 Tom attended the Sacred Heart School and St Mary’s College, later winning a scholarship to Xavier College, Kew, which he attended as a boarder between 1930 and 1933. After leaving school, Tehan sat for the state public service examination and in March 1934 joined the taxation branch of the Treasurer’s Department. From 1943 to 1947 he served as treasurer of the Victorian Public Service Association. In 1936 he commenced part-time study for a Bachelor of Laws at the University of Melbourne, although his course was interrupted first by his contracting tuberculosis and then by the war. He graduated in December 1945 and in March 1947 was admitted to practice as a barrister and solicitor of the Supreme Court of Victoria. Anxious to work in private practice, Tehan left the Crown Solicitor’s office, to which he had been promoted around 1943, and joined a firm of solicitors, Morrison and Sawers, at Kyabram in June 1947. He was influential in building up the practice, which by 1996 had become one of the largest businesses outside metropolitan Melbourne, with an associated group of investment and insurance companies that employed over eighty people. On 1 May 1943, at St Patrick’s Cathedral, Melbourne, Tehan married Hannah Teresa (Nance) Huggins, a dressmaker. The couple had four children. Within months of returning to his birthplace, Tehan became actively involved in municipal affairs when he was appointed to a subcommittee of the Kyabram Progress Association charged with investigating the creation of the Borough of Kyabram. This aim was ultimately achieved in April 1954, under the leadership of Tehan. As chairman of the Association, he oversaw the poll of ratepayers, presented the case in favour to the Local Government Advisory Board and presided over the committee responsible for the weeklong celebrations. Tehan joined the Australian Country Party in 1949. His father had been active in the Victorian Farmers’ Union and was a long-serving member and president from 1919 to 1920 of the Deakin Shire Council. Two local Country Party politicians served as role models: Victorian Premier John Allan, who was a friend and colleague of his father, and the leader of the federal party, John McEwen, whose legal work was handled by Tehan. For many years Tehan’s family commitments and legal practice kept him from realising any political ambitions. However, he was a stalwart member of a myriad local organisations including the Kyabram District Memorial Community Hospital, on whose board he served as a member from 1948, as president (1962–72), treasurer (1973–75) and as a life governor from 1985. In November 1963 Tehan unsuccessfully sought preselection as a Country Party candidate for the seat of Rodney in the Victorian Legislative Assembly. By 1964 he was president of the Kyabram branch of the party and a committee member of the Rodney Assembly Electorate District Council. In August 1966 he again unsuccessfully sought preselection, this time for the Victorian Legislative Council’s Northern electorate. He was elected to represent the seat of Rodney on the state Country Party central council from April 1967, and served as junior vice-president (1973–74), senior vice-president (1974–75), and also on the Federal Council. In the double dissolution election of 18 May 1974, Tehan ran, unsuccessfully, as the Liberal–Country Party’s sixth candidate for the Senate. In April 1975 he became president of the National Party of Australia (Victoria). Charged with ‘taking the change of name round the state’, Tehan was an ideal figurehead, emphasising that while the new name would have ‘wider appeal to people in rural cities and towns’, including professional people like himself, there would be ‘no major changes in policy’. Tehan secured the tenth Senate seat in the double dissolution election of 13 December 1975 when the excluded Labor candidate’s votes favoured him over the Democratic Labor Party candidate, Frank McManus. In the Senate, Tehan was a consistent advocate for the interests of the dairying, fruit-growing and canning industries of the Goulburn Valley region of Victoria. In his contribution to the Dairy Adjustment Amendment Bill debate, he was accused of being a ‘centralist’ by Labor senator Justin O’Byrne when he stated that if the dairy industry were to survive ‘it must be placed on a federal basis like wheat, wool and our other great primary industries. State jealousies must be forgotten’. Tehan’s speeches provided a rural perspective on the coalition’s legislation that was informed, well reasoned and measured. In November 1977 he highlighted five matters of concern to the farming and grazing communities of Australia—federal estate duty, fuel equalisation, the establishment of the rural bank, dairy underwriting and water resource management. Days later, he could barely contain his enthusiasm when he triumphantly proclaimed that, to the primary industries of Australia, the Australian Rural Bank Bill was ‘the best piece of legislation since Federation’. Aside from rural issues, Tehan took an interest in education, health insurance and youth issues, including drug abuse, unemployment and road fatalities. From his first speech he asserted the importance of the family as the basic unit of society and expressed concern at the rising divorce rate, attributing the breakdown of the family to a ‘lack of personal self-discipline in moral matters’. Grappling with social changes, he supported ‘the right of both the male and female of the species to work without discrimination’ and the need of widows and single parents for childcare, but deplored the phenomena of ‘latch key children’, and called for a ‘voluntary’ reduction in the number of married mothers in the workforce. Despite speculation that the National Country Party senators might vote against the Government’s Constitution Alteration (Simultaneous Elections) Bill in 1977, Tehan, now chairman of the coalition’s law and government committee, was an enthusiastic advocate. 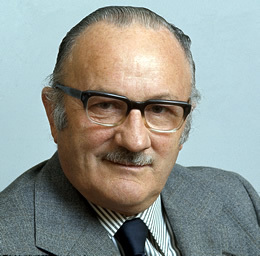 A rare instance of Tehan criticising government policy was his disapproval of the retrospective application of an aspect of the Income Tax Assessment Amendment Bill 1978, which, he argued, was a departure from ‘one of the fundamental principles in our legal system’. Tehan did not join the six Liberal senators who crossed the floor in support of Senator Peter Rae’s amendments to the retrospectivity provisions in the bill, maintaining that he was ‘a great believer in party loyalty’. A member of the Senate Standing Committee on Social Welfare from March 1976 until June 1978, he was one of three senators who submitted a dissenting report to the committee’s comprehensive inquiry into drug abuse, opposing the decriminalisation of cannabis. Tehan’s strategy of attacking the Australian Democrats in the campaign for the general election of 10 December 1977 was to no avail, and he lost his seat to Senator Chipp. After his term ended on 30 June 1978, a valedictory dinner for 300 parliamentarians, party members and friends was held in his honour in Kyabram. He returned to his law practice, remaining a senior partner until 1987 and a consultant until his death. Having been a charter member and former president of the Kyabram Rotary Club, Tehan served in 1980 and 1981 as district governor of Rotary District 979 (North East Victoria and Southern Riverina NSW). He was made a member of the Sovereign Military Order of Malta in 1982, Kyabram Citizen of the Year in 1993 and a life member of the National Party of Australia in 1995. Tehan died on 1 June 1996 at St Vincent’s Hospital, Melbourne. His funeral, including a Requiem Mass held at St Augustine’s Church on 4 June, brought the town of Kyabram to a standstill. He was buried at Kyabram Cemetery. one of the hallmarks of a successful politician is that he makes some enemies. If that is the litmus test, I suppose I must believe that I have failed, because while I like to think that I have made many friends in this place, so far as I am aware, I leave it with no enemies. CPD, 24 Feb. 1977, p. 388; Thomas Joseph Tehan, Transcript of oral history interview with Tony Hannan, 1988, POHP, TRC 4900/56, NLA, pp. 1:16, 1:18, 1:20, 1:26, 3:1–3; Theresa Catherine Rogers, The History of the Tehan Family in Australia, T. Rogers, Warrnambool, Vic., 1984, pp. 3, 15–16; Pat Corry, Lorraine Lister, Gloria Pell and Bev Williams (eds), The Way We Were: Early Days in Deakin Shire, Tongala Family History Group, Tongala, Vic., 1995, p. 69; The author is indebted to Debbie Worm, Sacred Heart School, Tatura, and Douglas Kennedy, Archivist, Xavier College, Kew; Xavier News (Melb. ), July 1996. Tehan, Transcript, pp. 1:26, 2:3–6, 2:12–13, 2:22–23, 6:18; ALJ, 14 Mar. 1947, p. 431; Tatura Guardian, 11 June 1996, p. 5; William Henry Bossence, Kyabram, Hawthorn Press, Melbourne, 1963, pp. 158, 165–6. Bossence, Kyabram, pp. 221, 226–33; Back to Kyabram Celebrations Oct. 15th to 23rd 1955: Official Program and Historical Record, Kyabram Celebrations Committee, Kyabram, Vic., 1955, pp. 5, 10–13. Countryman (Melb. ), 21 Nov. 1963, p. 4, 18 Aug. 1966, p. 2, 27 Feb. 1964, p. 4, 22 June 1967, p. 5, June 1973, p. 5, June–July 1974, p. 5; Tehan, Transcript, pp. 3:18, 3:28; Kyabram Free Press, 25 Apr. 1975, p. 1. Age (Melb. ), 15 Jan. 1976, p. 3; CPD, 24 Mar. 1976, pp. 728–31, 4 June 1976, p. 2444, 2 Nov. 1977, pp. 1973–4, 9 Nov. 1977, p. 2390. CPD, 25 Feb. 1976, pp. 213–18, 9 Mar. 1977, pp. 25–6, 28 Feb. 1978, p. 159. CT, 24 Feb. 1977, p. 7; Australian (Syd. ), 13 May 1977, p. 8; CPD, 6 June 1978, pp. 2420–2, 8 June 1978, pp. 2562–3, 2579; Tehan, Transcript, p. 4:27; CPP, 228/1977, pp. 190–7. AFR (Syd. ), 28 Nov. 1977, p. 4; Kyabram Free Press, 7 July 1978, p. 1, 11 July 1978, p. 6; Tehan, Transcript, p. 6:18; Rogers, The History of the Tehan Family in Australia, p. 33; The author is indebted to Sir James Gobbo, Vice-President (Victoria), Sovereign Military Hospitaller Order of St John of Jerusalem and of Malta; CPD, 17 June 1996, p. 1607; Herald Sun (Melb. ), 3 June 1996, pp. 76–7, 4 June 1996, p. 58. Australian (Syd. ), 1 July 1996, p. 15; CPD, 10 June 1978, pp. 2782, 2794; CPD, 17 June 1996, pp. 1611, 1613; Tehan, Transcript, p. 4:25. This biography was first published in The Biographical Dictionary of the Australian Senate, vol. 3, 1962-1983, University of New South Wales Press Ltd, Sydney, 2010, pp. 96-99.